Pony Tales welcomes the Dakota Shirt into town! 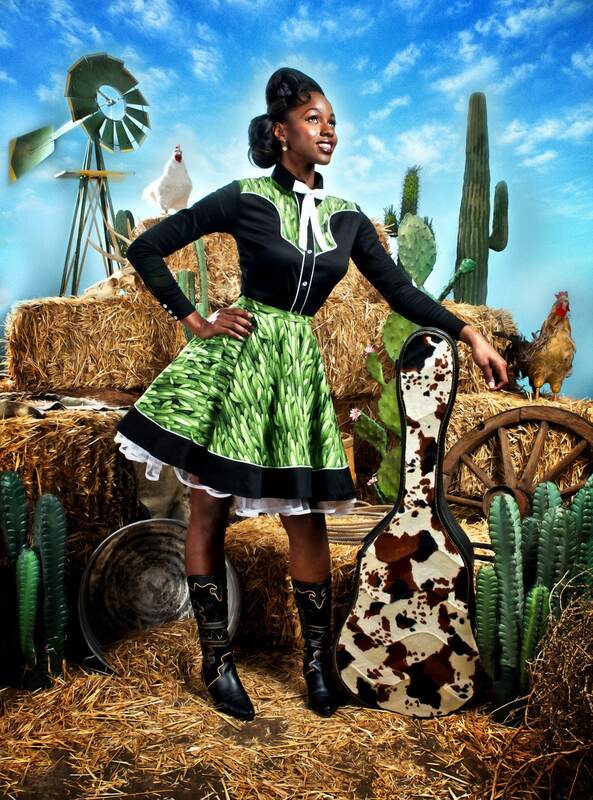 Classic western detailing adorns this black beauty complete with piping and pearly white snaps. 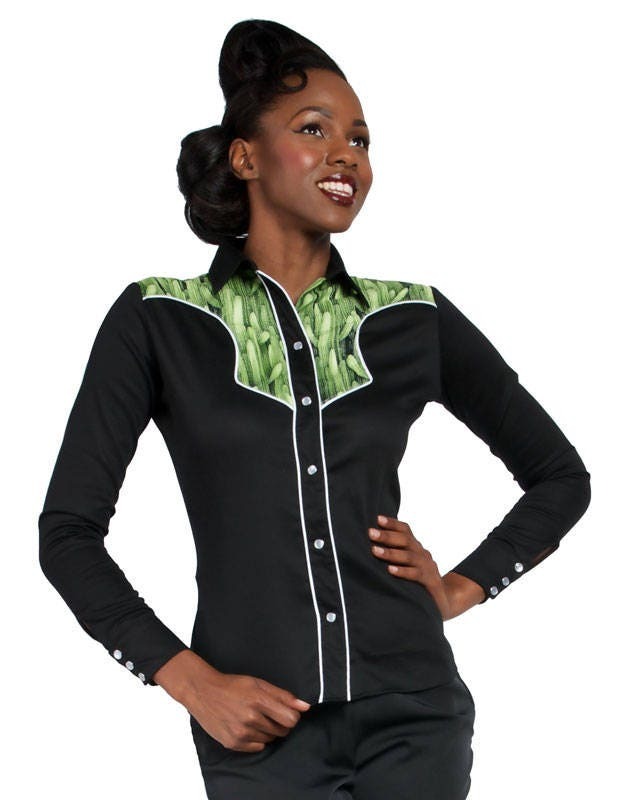 Figure flattering contrast yolk in green cactus garden print on the front and back. Long fitted sleeve with a wide three button cuff. The fit is nothing short of making you feel your very best! Try this one out with the Sadie Skirt or Cleo Riding Pants!